260 pages | 6 B/W Illus. 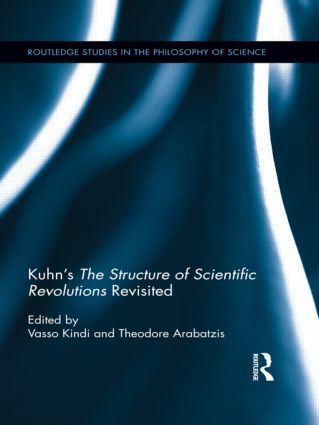 The year 2012 marks the 50th anniversary of the publication of Thomas S. Kuhn’s The Structure of Scientific Revolutions. Up until recently, the book’s philosophical reception has been shaped, for the most part, by the debates and the climate in philosophy of science in the 1960s and 1970s; this new collection of essays takes a renewed look at this work. This volume concentrates on particular issues addressed or raised in light of recent scholarship and without the pressure of the immediate concerns scholars had at the time of the Structure’s publication. There has been extensive research on all of the major issues concerning the development of science which are discussed in Structure, work in which the scholars contributing to this volume have all been actively involved. In recent years they have pursued novel research on a number of topics relevant to Structure’s concerns, such as the nature and function of concepts, the complexity of logical positivism and its legacy, the relation of history to philosophy of science, the character of scientific progress and rationality, and scientific realism, all of which are brought together and given new light in this text. In this way, our book makes new connections and undertakes new approaches in an effort to understand the Structure’s significance in the canon of philosophy of science. Vasso Kindi is Associate Professor in the Department of Philosophy and History of Science, University of Athens, Greece. Theodore Arabatzis is Associate Professor in the Department of Philosophy and History of Science, University of Athens, Greece.